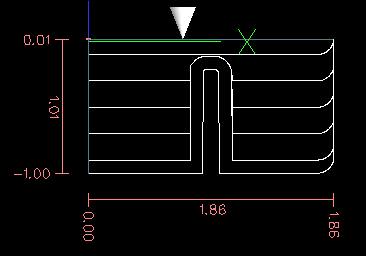 Recently I've made several improvements in image-to-gcode. 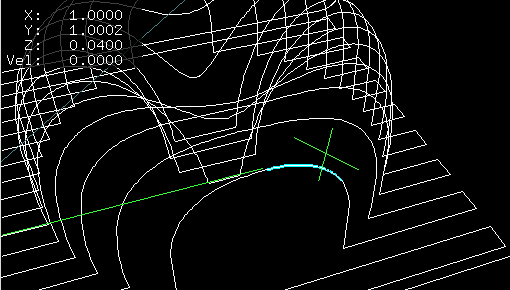 First, I added roughing passes, which cut down by a fixed amount each time (the roughing depth per pass) without going too close to the final surface (the roughing offset). 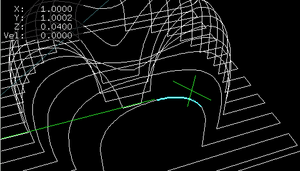 This will enable the cutting of objects with deep features. Most recently, I added the automatic recognition of arcs. Just as a bunch of nearly colinear points are converted into a single G1 line, a bunch of nearly cocircular points are converted into a single G2 or G3 arc. 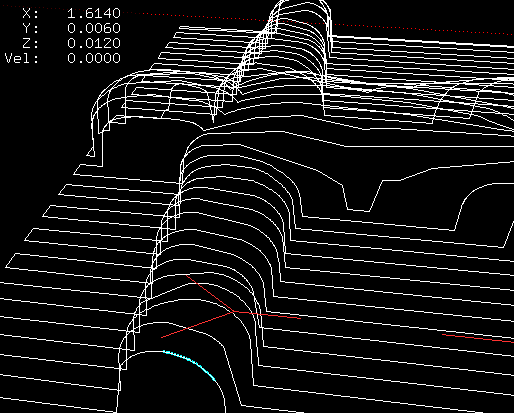 The result is fewer short segments, which leads to better contouring performance from emc2. It even seems to work nicely on images less contrived than the torus. These changes are of course in the emc2 public CVS and will be in emc 2.2 if no serious bugs turn up.